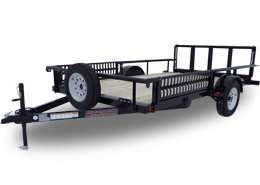 The deckover flatbed series of trailers from Midsota Manufacturing is high-quality crossed with great value. These commercial-grade trailers are built to last with Midsota-exclusive features to help you get the job done. 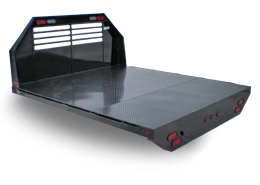 Click on one of the flatbed trailers below to learn more about each, or click here to learn more about this entire series from Midsota Manufacturing. 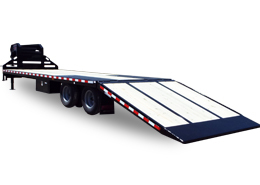 Flatbed trailers from Midsota Manufacturing are built to last. Around 100 dealers across North America know Midsota means high-quality, long-lasting commercial trailers for their customers. 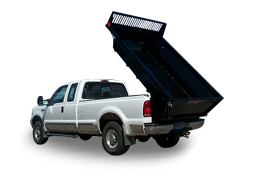 Our quality craftsmanship shines through every individual part of our trailers, from the self-adjusting electric brakes on our trailers wheels to the rubrail and stake pockets; from the high-quality wood decking to the spring axles. All Midsota models come with a 5-year frame warranty! 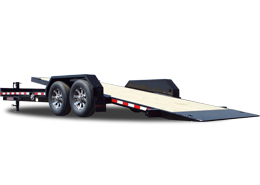 The flatbed series produces several heavy-duty commercial trailers to choose from at Midsota Manufacturing or at any of our around 100 dealers across the continent. The STO series trailer comes standard with: 15,400 GVWR, with options up to 23,100 GVWR; 7,000 pound Dexter spring axles with additional options; 8’ tuck-under ramps with carriers with option for a 5’ beavertail; self-adjusting electric brakes, with the option for surge hydraulic brakes; a 5-position adjustable coupler with option for gooseneck or pintle; treated wood decking with option for steel treadplate or white oak; and more! The FBBP series trailer comes standard with: 22,000 GVWR, with options up to 25,990 GVWR; 10,000 pound spring dual-wheel axles with additional options; 5’ beavertail with flip-over wedge ramps and options for a center-lift floor or 10’ hydraulic beavertail; self-adjusting electric brakes, with the option for surge hydraulic brakes; a 5-position adjustable coupler with option for a pintle; treated wood decking with option for steel treadplate or white oak; and so much more! 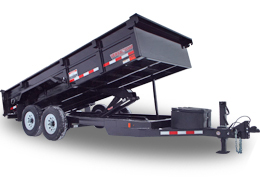 The FBGN series trailer comes standard with: 23,000 GVWR, with options up to 25,990 GVWR; 10,000 pound spring dual-wheel axles with additional options; 5’ beavertail with flip-over wedge ramps and options for a center-lift floor or 10’ hydraulic beavertail; self-adjusting electric brakes, with the option for surge hydraulic brakes; a gooseneck coupler; treated wood decking with option for steel treadplate or white oak; and much more! 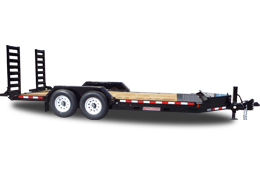 We at Midsota Manufacturing are consistently improving the quality of our products, including the flatbed series, to give you the highest-quality and longest-lasting trailers we can produce. Search through our website to find the trailer which is right for you, or contact us and have one of our friendly staff guide you through the process.